Scholarships and financial awards at Shanghai Livingston American School are guided by our belief that parents should be given every opportunity to give their children a quality education. Scholarships and financial awards are available to fill the gap between the actual cost of a year’s tuition / fees and what a family can realistically pay toward the cost. Our school has made a commitment not to let a family’s finances be an obstacle in obtaining an SLAS education. With a flexible payment plan and an aggressive scholarship and financial awards program, SLAS is meeting the challenge of this bold resolution. 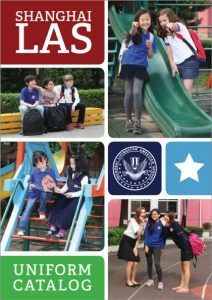 Shanghai Livingston American School provides scholarships and financial awards for a variety of areas including: academic success, community service, artistic and music ability, English speaking excellence, and athletic ability. When making scholarship and financial awards, SLAS considers all aspects of the student ‘s ability and the relative needs of all who have applied for awards.